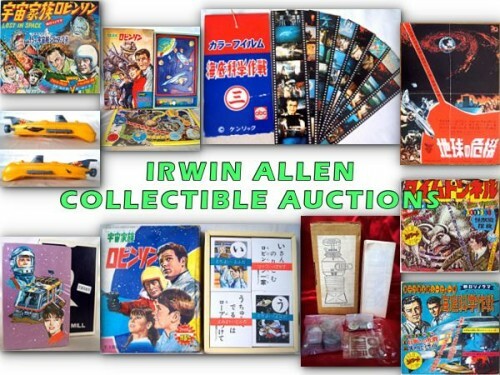 Our friends in Japan have listed a number of rare 1960s/70s Japanese Irwin Allen collectibles for auction on Ebay (ending 23rd or 24th September, depending on your time zone). Click here or on the above image to see the items being auctioned. 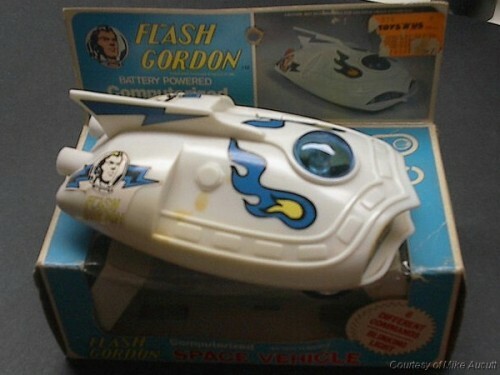 If you are planning on auctioning any unusual, original, or rare Irwin Allen toys or collectibles at an online auction house or eBay and would like IANN to publicise your auction, please feel free to email over some pictures and descriptions with auction estimates, time, date and location details. Please let us know the name to credit with each photo (can be full name, nickname, initials etc). 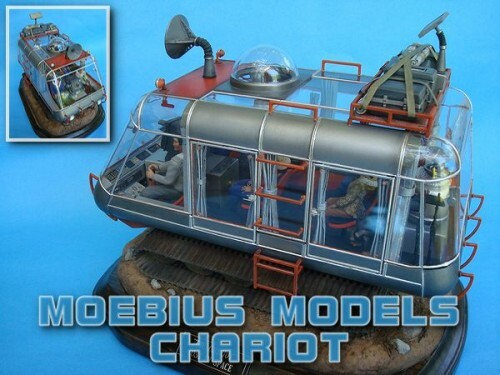 Lars Liljeblad has just completed his build of the Moebius Models Chariot and it is now featured in the IANN model gallery. TV & Satellite Week are running a special Land of the Giants competition which closes on Friday 19th August 2011 with DVD, T Shirt and Spindrift model kit prizes. Click here for more information. The new Moebius Models Spindrift kit is now available in stores. If you would like to have your Spindrift builds featured in our Model Builds galleries, please email a range of photos of the build with your name and location. 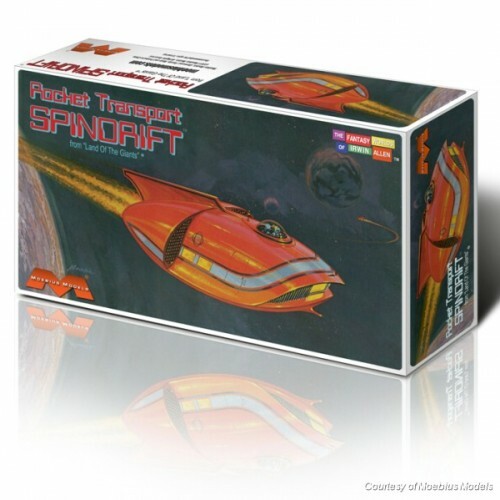 Here is first sight of the upcoming Moebius Models Spindrift kit box courtesy of Moebius Models. We have exciting news. Moebius Models are planning to issue a small 1/128 scale (approx. 4.5 inches long) Spindrift model kit during the first part of next year, 2011. Pictures will follow when available. 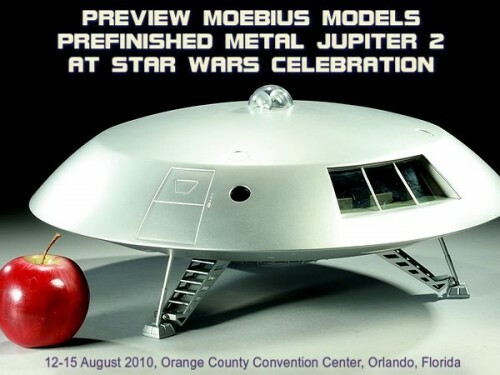 Moebius Models are issuing a prefinished and ready-to-display metal Jupiter 2 replica at the beginning of 2011. 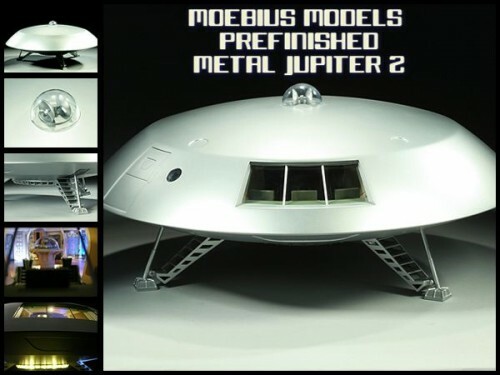 This stunning 1/35th scale, 18 inch diameter Jupiter 2 model will come completely finished with lights. It weighs 19 pounds and has a metal hull and landing gear, and plastic painted interior. There is internal lighting, plus 3 speed fusion core. This special collectible includes a rechargeable battery plus wall transformer that doubles as a charger. 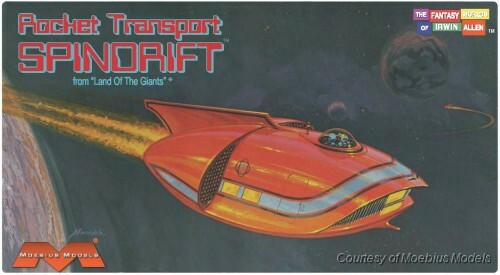 There is a 1978 Japanese toy which is remarkably similar to the Land of the Giants Spindrift. What do you think? Does anyone have this toy? 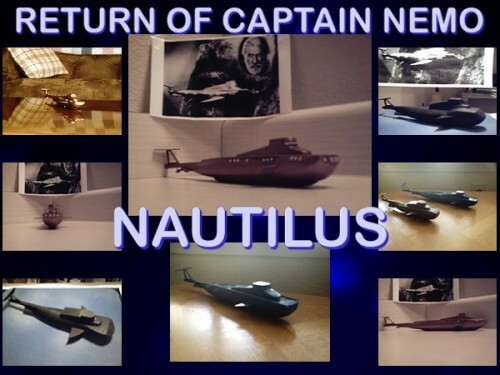 James Squellati has been working on constructing a scratch built Nautilus model (The Return of Captain Nemo). 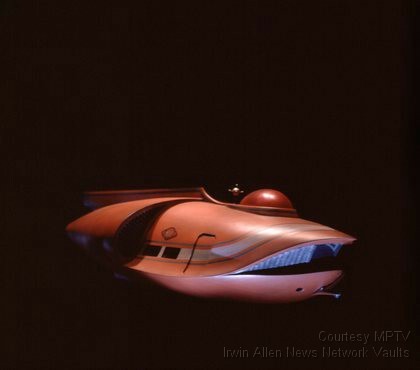 We very much hope that a model kit manufacturer will some day consider issuing a Nautilus model kit as there is very little available on this model.